To secure a booking, a £100 deposit is required, which can be received by bank transfer, post office credit or cheque payable to Mr N Thompson. Should you cancel the booking the deposit will be non-refundable. The remainder of the balance is payable 4 weeks before the date of your holiday, we will email a reminder for payment as your holiday approaches. 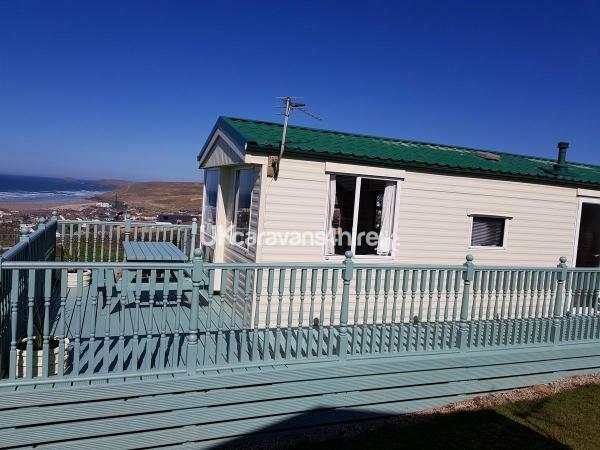 This static caravan for hire is situated on Liskey Hill Caravan Park. 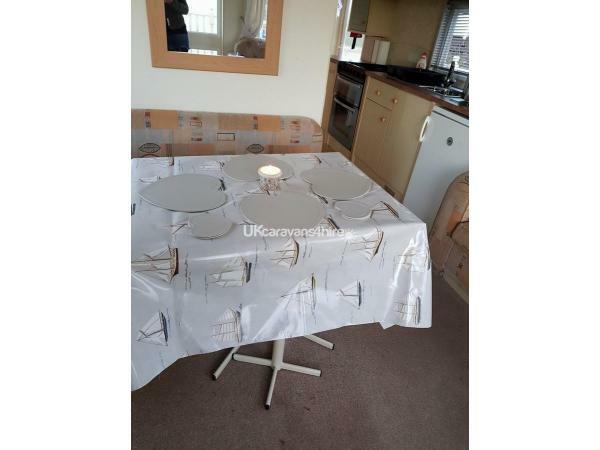 The caravan has a bright lounge with views to the sea. It comprises of a gas fire/TV/DVD/stereo. 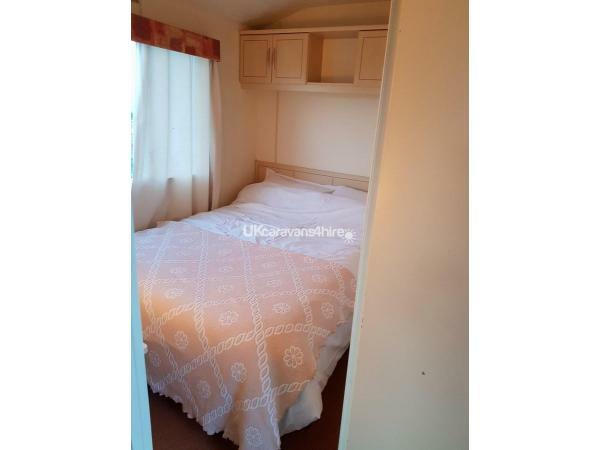 The kitchen comprises of an oven/fridge/microwave and is equipped for a comfortable vacation. 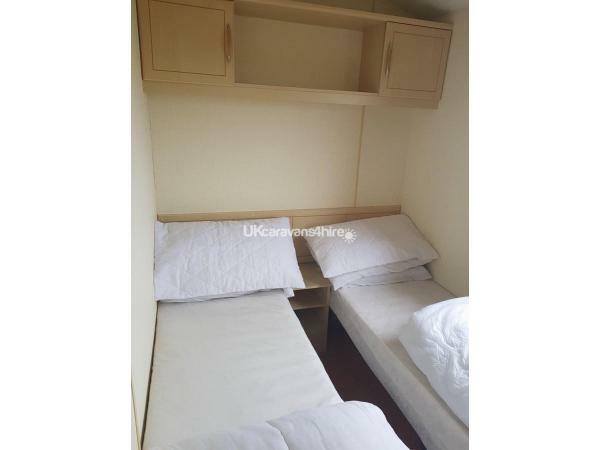 There is a double bedroom with wardrobes. 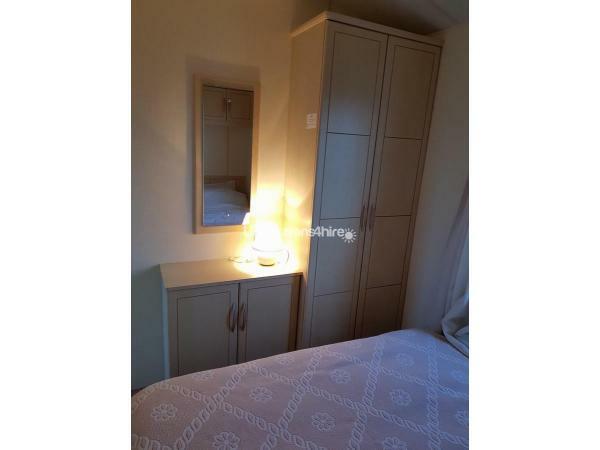 There is a twin bedroom with wardrobes. Externally there is a bench for seating and a storage box for your use. 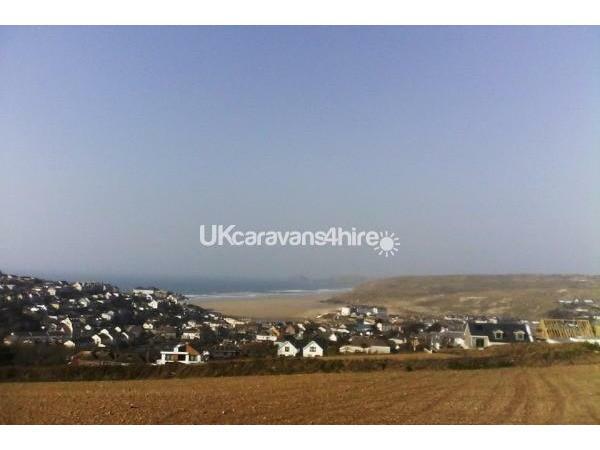 A comfortable holiday home to experience the beauty of Cornwall, Perranporth is a 10 minute walk from the caravan. 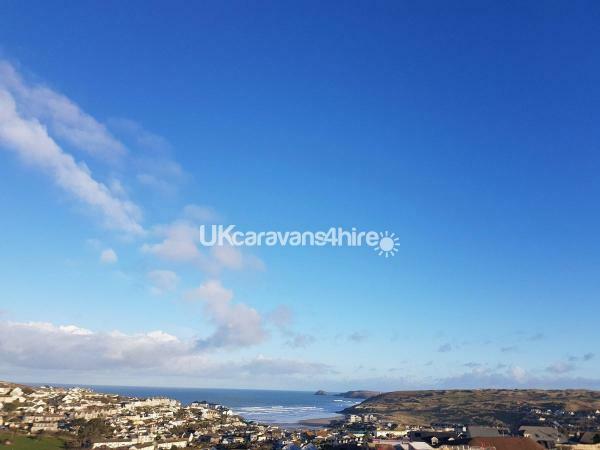 The caravan is situated 8 miles from Newquay, 9 miles from the City of Truro, approximately 25 minutes from the picturesque harbour of Saint Ives. Perranporth is a well equipped town that has a selection of pubs and restaurants. 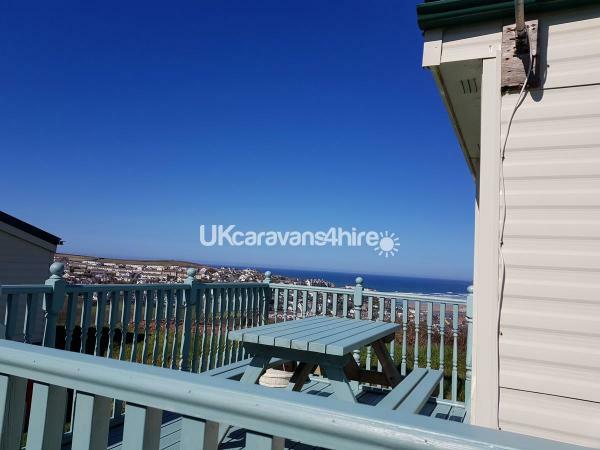 The beach is 3 miles long and houses the famous Watering Hole bar, where you can literally have your toes in the sand whilst you take in the views of the beach and have a bite to eat and drink. 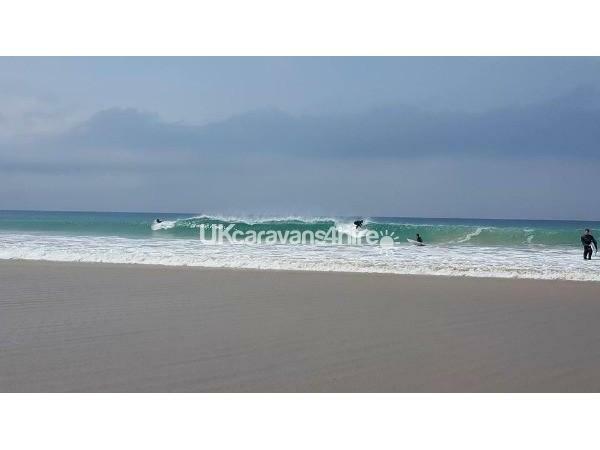 The surf in Perranporth is a big attraction and there are numerous caves and rock pools to explore. There is a high street which has a good selection of shops and amenities. The Deck is a great place to meet and socialise. We would ask that guests vacate the caravan at 11.00 am on their day of departure and arrival time is 2pm, to allow us to clean the caravan, in between lets.